Fat is your friend, not your foe—a claim that followers of the ketogenic diet have been supporting for almost 100 years. Compared with the Standard American Diet (SAD) which is high sugar, high carbohydrate, low fiber and has a low nutritional value, the ketogenic diet is not only safe for helping overweight and obese people lose weight, it also supports brain health and improves energy levels. Those who have experienced the benefits of the ketogenic diet, or keto diet, might also be curious about trying intermittent fasting and whether it’s feasible to combine the two. Good news: It’s not only possible, it’s a weight loss strategy that is highly recommended. The keto diet is based on the idea that eating mostly healthy fats, consuming high-quality protein in moderation, and restricting carbohydrates to less than 50 grams per day can cause your body to go into a metabolic state called nutritional ketosis. During ketosis, your body no longer relies on glucose as a primary energy source. Instead, your liver converts fat into ketones–which are an alternative source of fuel for your brain. On the keto diet, you’ll get most of your calories from healthy fats found in foods like avocados, grass-fed butter, olives, olive oil, medium-chain triglyceride oil (MCT oil), coconut oil, nuts, and seeds. However, keep in mind that some nuts and seeds are better than others. Choose those that are high in fats and lower in carbs; brazil nuts, almonds, walnuts, chia seeds, and flaxseed are all good options. You can also eat all of the non-starchy, leafy vegetables you want, as well as other low-carb vegetables like broccoli rabe, peppers, bok choy, cauliflower, spinach, asparagus, cucumber, and zucchini. In moderation, eat protein in the form of grass-fed meats, pasture-raised poultry, cage-free eggs, and wild-caught fish. When it comes to fish, choose fatty fish by remembering the acronym SMASH: salmon, mackerel, anchovies, sardines, and herring. Finally, if you want to reach for something sweet, a small amount of 90% dark chocolate is your best option. 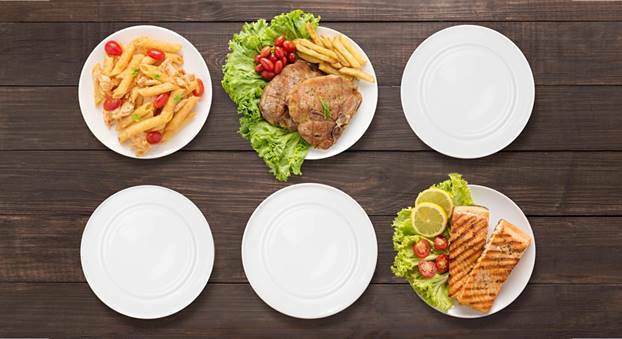 While there are different types of intermittent fasting, such as daily, weekly, and alternate day, the most common involves only eating during a specified window of time each day. That window typically spans between four and seven hours of feeding during the day, but it can be reduced or expanded depending on your dietary needs. Of its many benefits, intermittent fasting works on both sides of the calorie equation. It increases the amount of calories you burn by boosting your metabolic rate and reduces the amount of calories you consume by limiting the food you eat. According to a 2014 review, intermittent fasting can cause weight loss of 3-8% over 3-24 weeks. A study also showed that intermittent fasting caused less muscle loss than continuous calorie restriction. While intermittent fasting is not a necessary part of following a keto diet, It is arecommend approach if you want to double down on benefits, achieve previously unattainable results, and meet new health goals. Alone, each has its weight loss and healthy lifestyle benefits. Together, they can help you achieve your optimum health from the inside out.